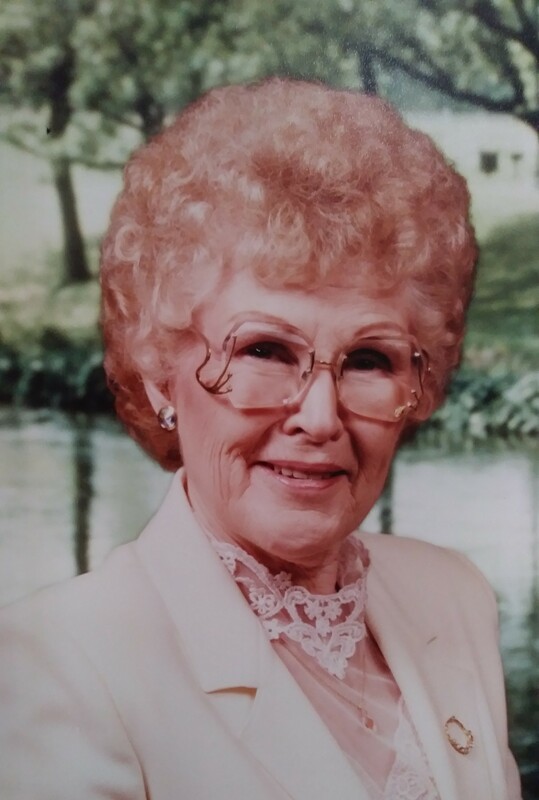 MALTA-LaVonne Compton, 92, retired clerk with J.C. Penny’s, passed away Friday February 2, 2018 at Helena with her family by her side. Rosary services will be 7:00 P.M., Thursday, February 8 at the St. Mary’s Catholic Church in Malta. There will share of stories at the Tin Cup following the Rosary. The viewing will be from Noon to 6:00 P.M. on Thursday at the Kirkwood Memorial Chapel. Mass will be 10:00 A.M., Friday, February 9, 2018 at St. Mary’s Catholic Church. Interment will be in the Malta Cemetery. Condolences for the family may be left at www.kirkwoodfuneralhome.com. The little pink lady, as our mother was fondly called, went to be with her husband Leland Grant; parents, Walter & Clara Campbell; her three brothers, Walt, Jack & Collin; and her son Michael. LaVonne. She was 92 years old. LaVonne was born in Gull Lake Saskatchewan on August 11th, 1925. Her family then moved east of Malta, MT. She graduated from Malta High School in 1943 and then attended Northern Montana College in Havre, MT. She married Art Fortin in 1946 and they had two children Lana & Dale. They later divorced. She married the cowboy she “just had to have” on October 9, 1959. They had three children: Michael, Loy and Doyle. LaVonne had a variety of occupations beginning as a teacher at the Regina school south of Malta. She bartended at several local establishments including the Lobby and the VFW. She was best known for her work at the JC Penney store which she truly loved, and everyone loved her. Before retiring she worked at the bank now known as the Independence Bank. LaVonne was a member of St. Mary’s Church and Altar Society for many years. She was also a member of the VFW Ladies Auxiliary. LaVonne is survived by sons Dale (Melanie) Fortin of Hays and Doyle (Sue) Grant of Boulder and daughters Lana Ulrich of Malta and Loy (Ed) Pekovitch of Helena. She was also preceded in death by her brother and sister in-law Dixon and Hulda Grant, a nephew Dennis Grant, and a niece Erin Campbell. LaVone was gracious beautiful lady who left her impression wherever she went. She will be missed. My condolences to LaVonne's family. She always had a smile and a warm welcome when I would stop by and visit her and Duane and we enjoyed our time together at Rotarian Christmas parties and events.